Manyula was called the “queen of the zoo” and her enclosure was moved right to the entrance. Now, a small statue with a plaque stating “Plaza Manyula” stands at the spot. Painters have painted her and musicians have composed songs to her. Manyula by singer Omar Angula is a hit. Salvadorans have posted the elephant’s videos on YouTube and grieved for her on Facebook, the page drawing 9,000 members. For over half a century, El Salvador had looked to its most famous Indian resident to seek solace amid the civil wars, volcanic eruptions, hurricanes, earthquakes and gang wars wracking the country. When she fell ill at 60 this year, the news made the front pages for days. After her death from renal failure on September 21, thousands of mourners — young and old, politician and poor — turned up with candles, flowers and posters as the grand old lady was buried in a very large grave in capital San Salvador. Now Central America’s smallest nation wants a replacement — or two — for the Indian-born Manyula, the country’s only elephant who became a national icon during her 55-year stay at the San Salvador zoo. 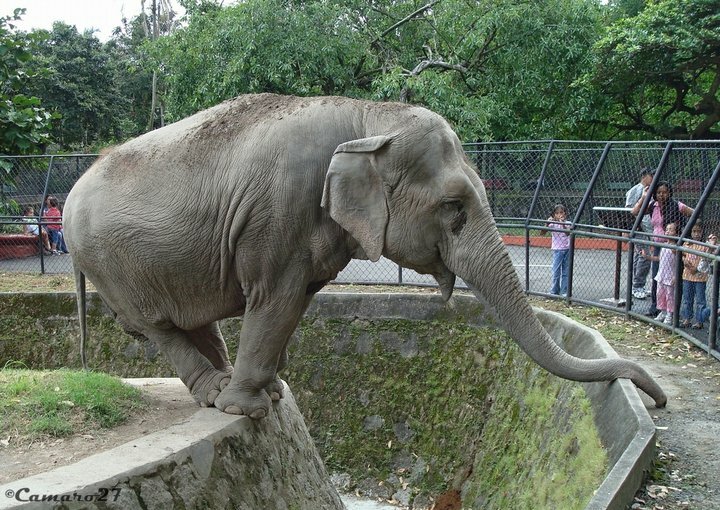 On September 21 Manyula, the only elephant at El Salvador’s Parque Zoológico Nacional de San Salvador, died at age 59 from kidney failure. She had lived in the zoo for almost her entire life, having been abducted from her family in India as a baby, and died without ever knowing the companionship and comfort of another elephant again. We need your help to ensure that the zoo does not acquire another elephant and subject her to a similar lifetime of deprivation. The Indian newspaper notes that the opposition to replacing Manyula only seems to be coming from outside of El Salvador. Hi there !!! I've got installed on my personal blog: http://www.publicistul.blogspot.com an COUNTERFLAGS but I don't have yet your country flag !!! So I'll really apreciate if you'll clickme on the http://www.publicistul.blogspot.com to have your country flag too. THANK YOU very much, yours sincerlly Robert Codescu from Romania!! !